Implant placement requires careful, detail oriented planning on our part. The procedure to place a dental implant is very gentle and takes 10 to 20 minutes for one implant and 30 to 60 minutes for multiple implants. The number of appointments and time required, vary from patient to patient. We have had patients describe the procedure as “boring” and we gladly accept that. Dr. Hullett reviews the case with you in order to provide great precision and meet your expectations. When you are comfortable, the Dr. Hullett makes a small incision in the gum tissue to reveal the top of the bone ridge, creates space using special instruments, and gently inserts the titanium implant. You will not feel this. The top of this implant is often visible through the gum as a silver button. Your gum tissue is one of your main blood supply and we pay special attention to it’s health. Call our Houston office at Houston Office Phone Number 713-439-7575 or our Sugar Land office at Sugar Land Office Phone Number 281-277-6622 if you have any questions or to schedule your dental implant consultation with Drs. Jason or Anu Hullett. Now the healing begins. The length of time varies from person to person, depending upon the quality and quantity of bone. The surgeon will advise you on follow-up care and timing. It is important not to put any biting pressure or allow your tongue to play with the implant site during this time. Doing so will loosen the implant while the bone is trying to connect between the threads of the implant. You will be able to brush on the site very gently in two days to maintain hygeine. After the initial phase of healing (usually 4 – 6 months),Dr. Hullett will check to make sure the implant has strongly connected into your bone and place a healing collar onto the implant during a brief follow-up visit. We support custom abutments made by the dentist to specifically fit your mouth. This allows gum tissue to mature and allows your general dentist access to the implant to make a beautiful, natural looking crown with good bite balance. It is extremely important for the crown to comfortably fit the entire “bite” of your mouth in order for it be painless and last a lifetime. If during the Torque Test your implant moves, then it is a failure since it should not move. We will remove the implant, find the root cause of failure (smoking? accidentally chewing on it? recurring infection from an adjacent tooth, poor hygeine, blood sugar out of control? etc) and find a solution to the problem. We will replace the implant at no charge only if this occurs during our surgical time and ensure history does not repeat itself. When it happens depends on your motivation to restore function and aesthetics. In all of these cases, bone volume will need to be assessed and the environment must be right, for example, infection or pathology must not exist. 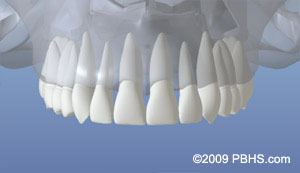 An implant may be placed immediately after extraction of a tooth. You will have the beloved blood clot which will have your growth factors to help heal the bone into the implant grooves. 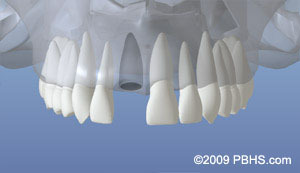 But, when infection or other problems with the bone are present, immediate implant placement is not the best treatment. The quality of your bone and the implant design (wide, narrow, more threads, less threads, bone level, tissue level, etc) will dictate how much implant platform support you need to distribute your chewing forces. For example, the upper jaw is made of softer bone compared to the harder bone in the lower jaw. Therefore, more anchorage will be needed in the upper jaw for stability of the crown and less in the lower jaw. If you are missing one tooth, then one implant should be placed. Because many of the larger teeth in the back of your jaws have two or three roots, the most common approach is to replace missing back teeth with wider implants. Gone are the days of replacing each root with an implant – very expensive and unnecessary. Many factors are considered in your customized treatment plan, and remember, the implant must hold a functional, but also aesthetic crown that fits your appearance.